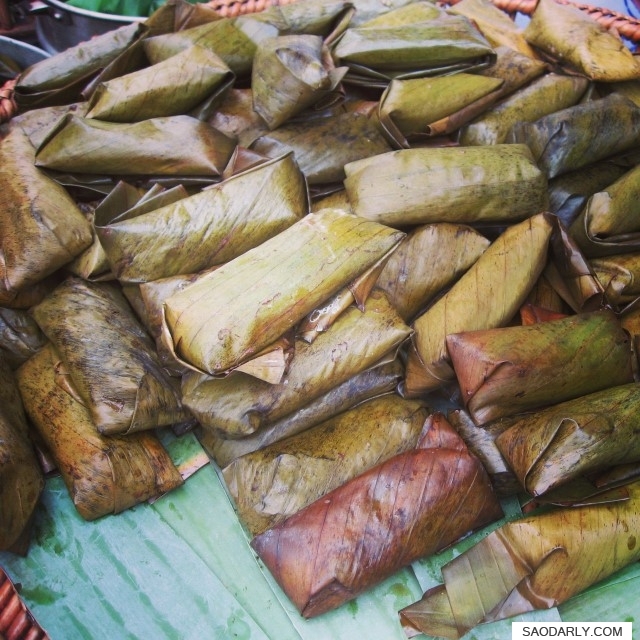 Hor Khao Tom for the Morning Alms Offering (Wrapping Sticky Rice in Banana Leaf) in Pakse, Laos. 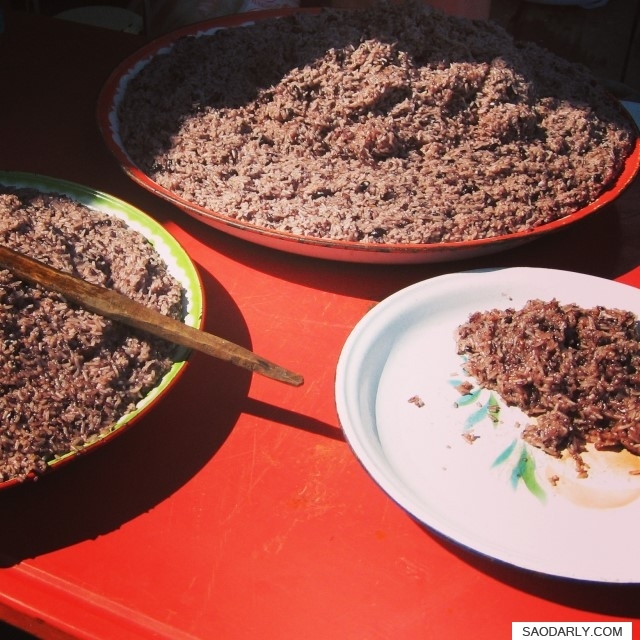 Khao Tom is a dessert made with sticky rice, coconut cream, salt, sugar, and additional ingredients for taste like ripe banana, mung bean, or black bean. 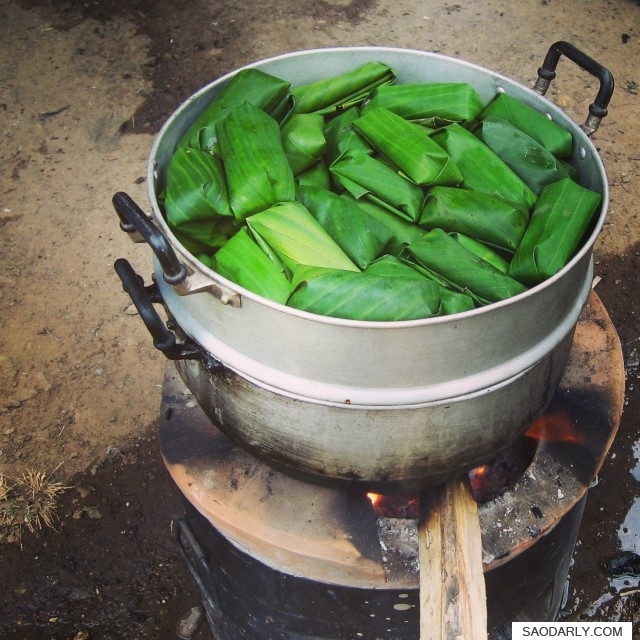 The sticky mixture is wrapped up in a nice banana leaf parcels and then steamed until fully cooked. 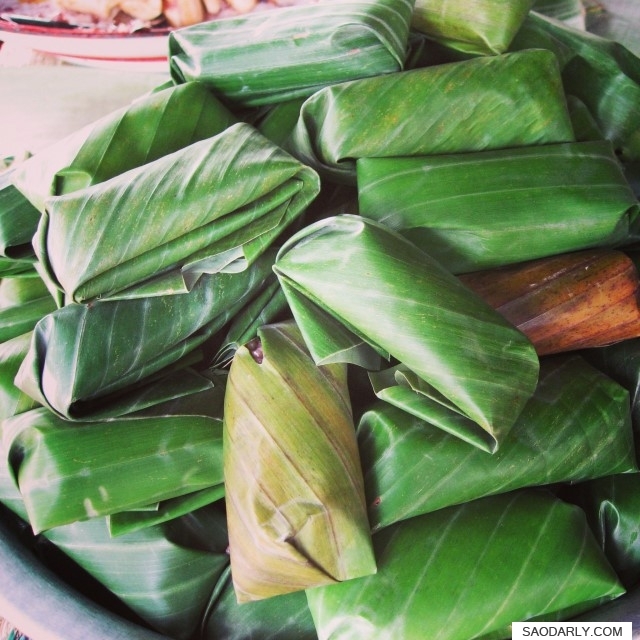 The sweet steamed sticky rice in banana leaf is not only eaten as sweet treat or dessert in Laos, it also makes great breakfast or snack for any time of the day. The sweet banana is best. 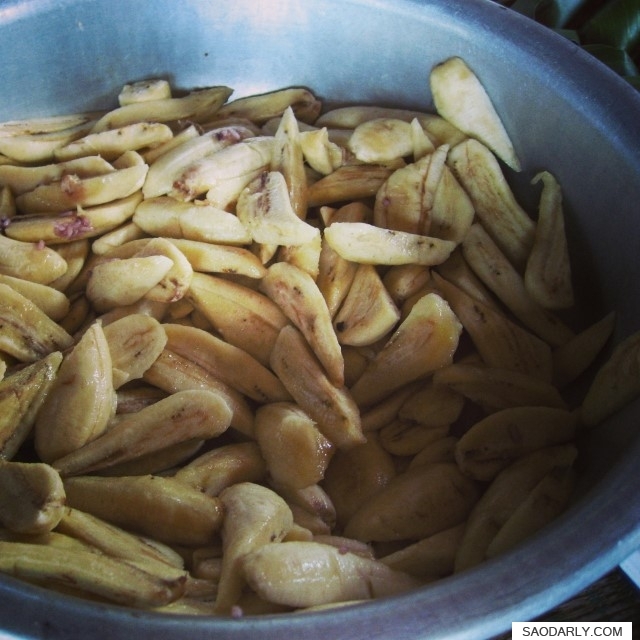 Too bad they don’t sell that type of banana here, have to go to Laos to eat it. 🙂 Glad you like the new look of the website. It makes me think of green rice paddies in Laos.